Anna Ruby Falls near Helen, Georgia, is a beautiful place. Smith Creek tumbles down from the falls with a nice walking trail along it. The views are lovely and provide great opportunities to work on photographing flowing water. This entry was posted on Monday, April 2nd, 2012 at 10:34 am. 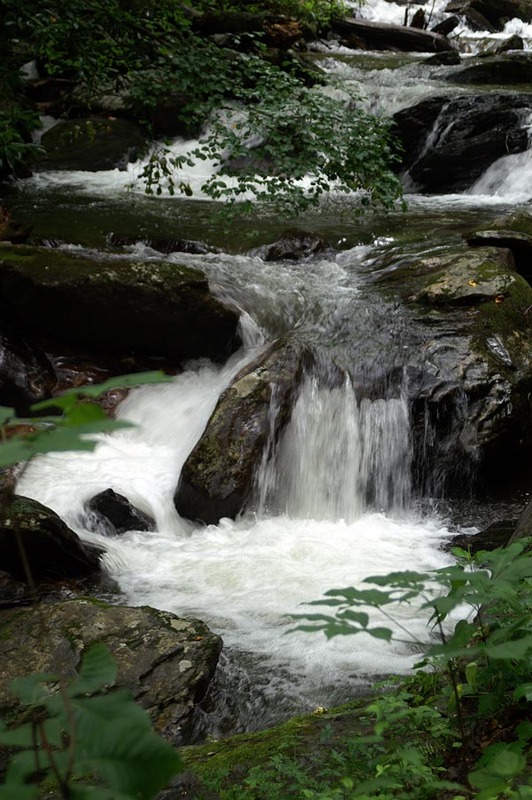 It is filed under Landscape, Location, Nature, New Images and tagged with Anna Ruby Falls, boulders, falls, forest, Helen Georgia, rapids, Smith Creek, stream.water, trees, tumbling. You can follow any responses to this entry through the RSS 2.0 feed.